This picture displays a closeup of five beams of steel rolled into a 230.5 degree arc. In the background you see a decorative wall and waterfall. 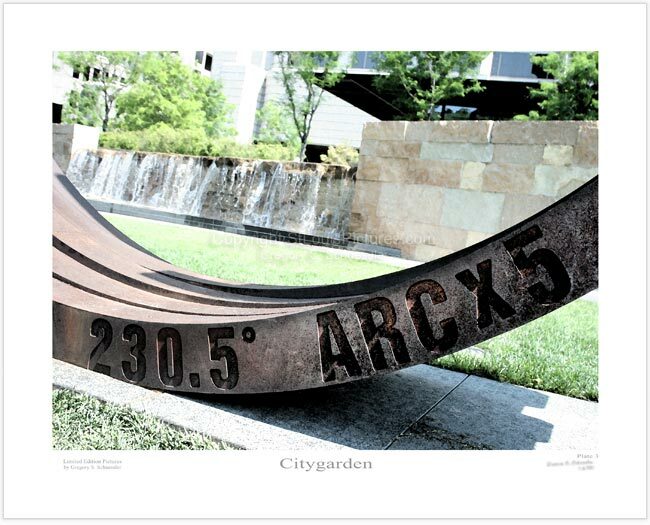 Bernar Venet, born in 1941, is the artist of this scuplture which is on display within the Citygarden in downtown St. Louis.